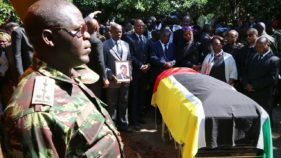 Accompanied by a military gun salute, Mozambique laid to rest rebel supremo and opposition leader Afonso Dhlakama in his remote birth village Thursday after his unexpected death threw the country's peace process into uncertainty. 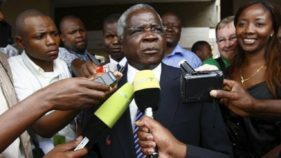 Mozambique's president said the country's fragile peace process must not collapse after veteran rebel leader Afonso Dhlakama, who had opened talks with the government, died unexpectedly aged 65. 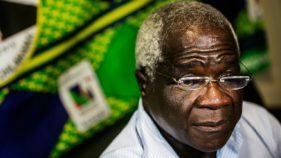 Mozambican opposition leader Afonso Dhlakama on Thursday indefinitely extended a truce he first announced unilaterally in December between his rebel Renamo group and the government. 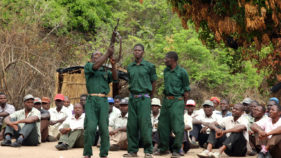 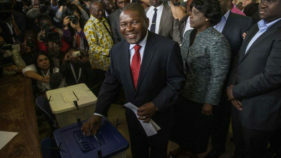 Mozambican rebel leader Afonso Dhlakama announced Tuesday a two-month ceasefire in the rumbling conflict between Renamo and the government, extending a week-long truce in a move welcomed by the president.